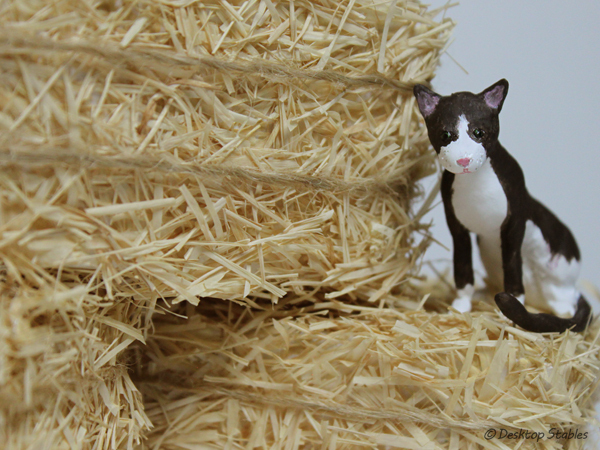 If you have any interest in mini-making, do check them out! 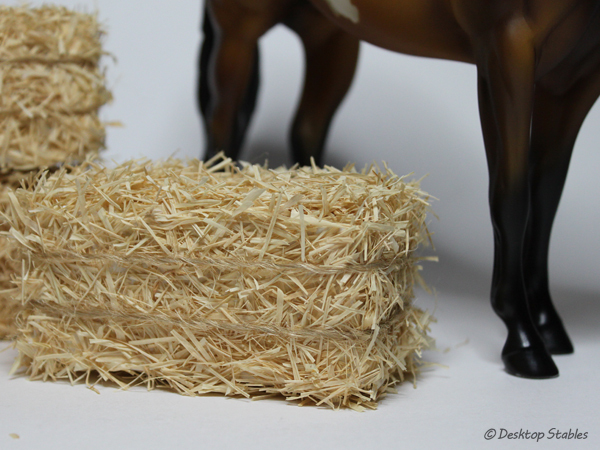 Here’s another tutorial I came across online – mini bales! 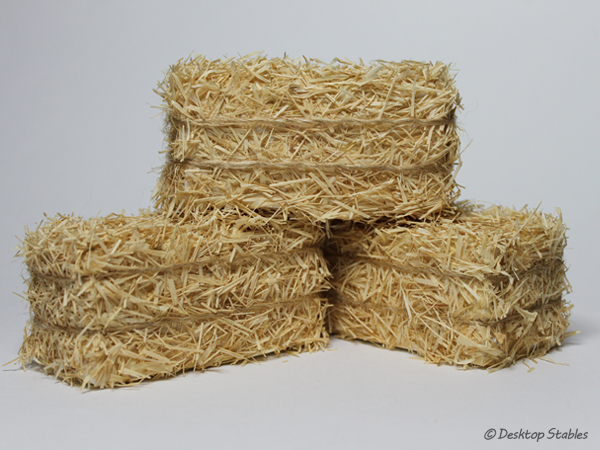 Of course you can buy pre-made bales but what’s the fun in that? Besides, most of the ones I’ve seen for sale have been either too big or too small. I wanted something in between. 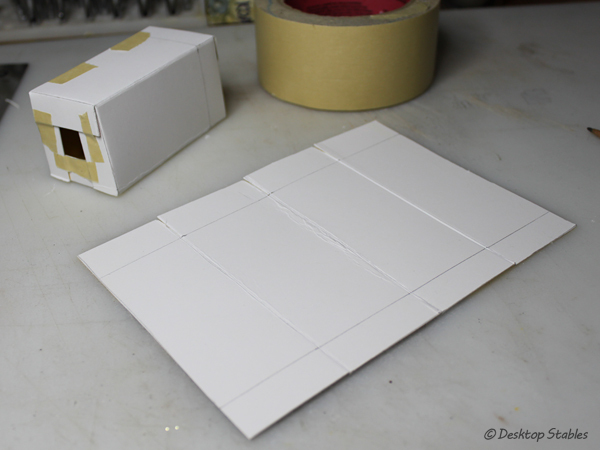 Instead of a milk carton, I used pieces from that Breyer box I still haven’t thrown out. (there’s not much left to throw out now, ha!) These were folded up, taped together and stuffed with pieces of scrap paper to give them a little more weight. 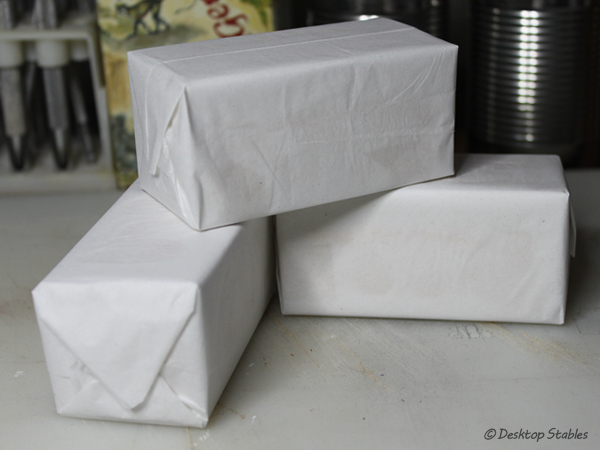 Then they were covered with a few layers of tissue paper. 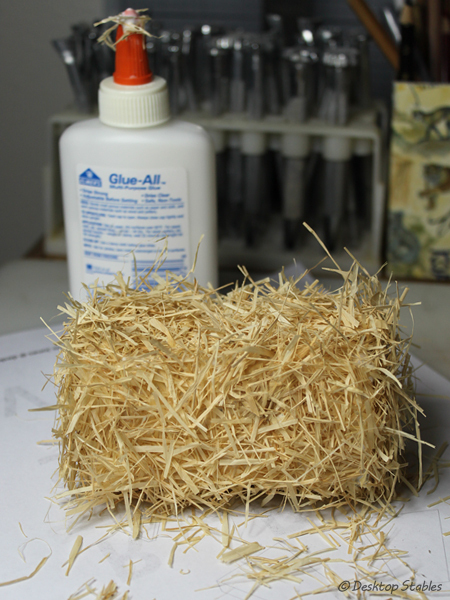 For the straw, I cut some raffia that I’ve had on hand for ages. 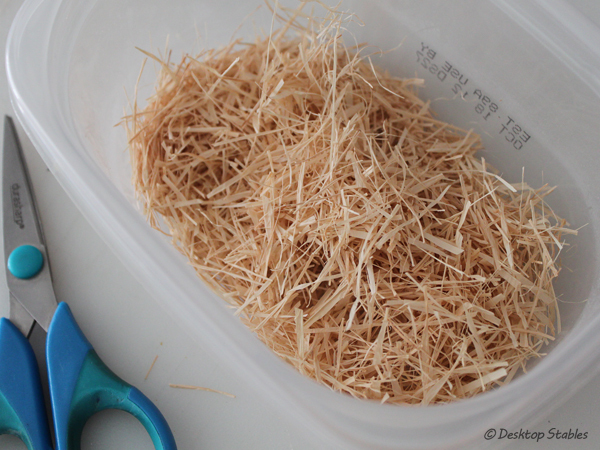 I ended up splitting the long strands individually before cutting them in tiny pieces. Not one of my better ideas but it looks ok. My fingers do not agree. It was a huge mess to make though. Even with extra gluing and trimming these things still shed like crazy. Also, I would have used colored tissue paper or painted the paper before covering, to disguise the white box a little better.